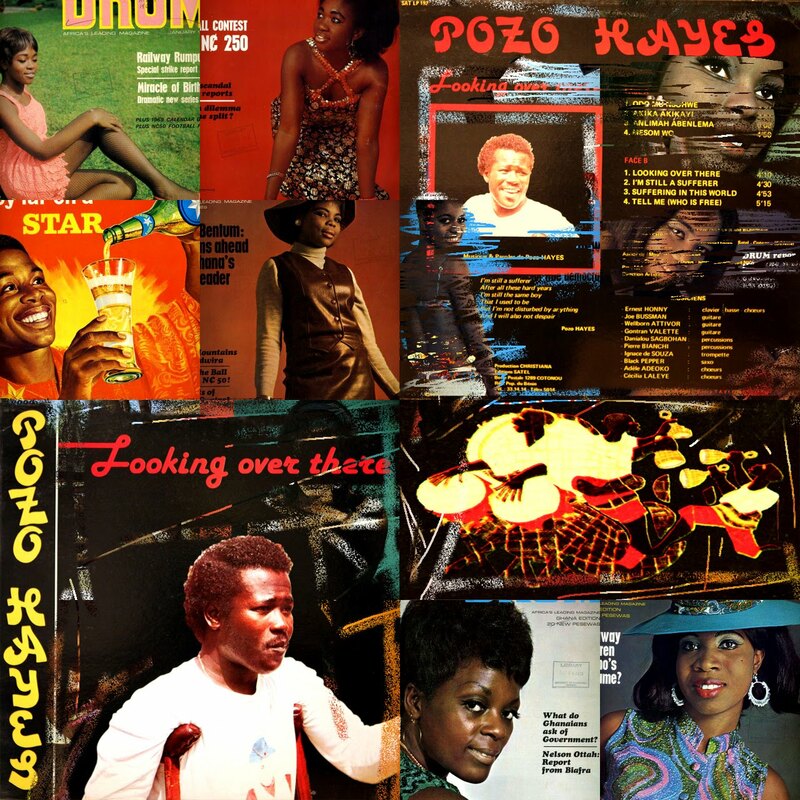 As a little boy growing up in Kaneshie, Nana Boake Ofori Atta, a.k.a Pozo Hayes, could not go out to play like other children. Virtually grounded by polio at the age of three, he founded companionship in radio set. His father, Aaron Kofi Asante Ofori Atta, the last Speaker of parliament in Nkrumah regime bought him a wheelchair when he was about to start school. The right armrest of that chair became the drum with which he supported his singing of trendy pop tunes at school. 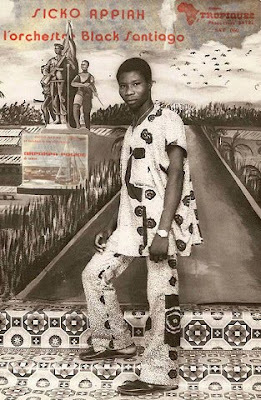 At the beginning of his career, the promoter of Satel Editions invited him in Cotonou, Benin. Pozo Hayes elected to do the trip with Classic Handels and the gig was great. He recorded his firts album "Looking Over There" and since then, he has not looked back and can boast of eight albums to his name. 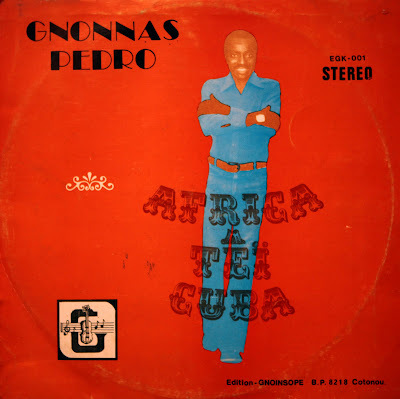 Gnonnas Pedro: "Africa Tei Cuba" & "30 Novembre..."
A while ago, I posted the single "30 Novembre..." but it was incomplete. So here is pure and complete modern Agbadja rhythm which Gnonnas Pedro is the teacher from. 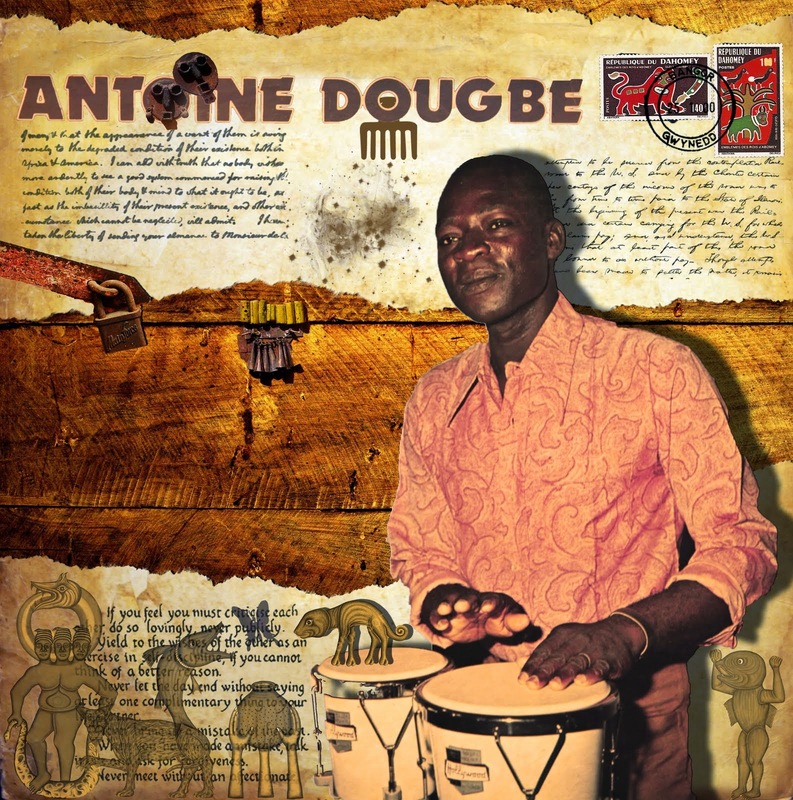 I also post "Africa Tei Cuba", an album of very different music styles: Afro-Cuban rhythm, Slow or French song inspired by Charles Aznavour's music. A true musical care delivered by Doctor Pedro. Il y a un moment, j'ai posté le single "30 Novembre..." mais il était incomplet. Voici donc ce pure et complet rythme d' "Agbadja moderne" dont Gnonnas est le professeur. Je poste aussi "Afrei Tu Cuba", un album aux styles très variés: rythme Afro-Cubain, Slow ou chanson française inspirée de Charles Aznavour. Un vrai soin musical délivré par le Docteur Pedro. 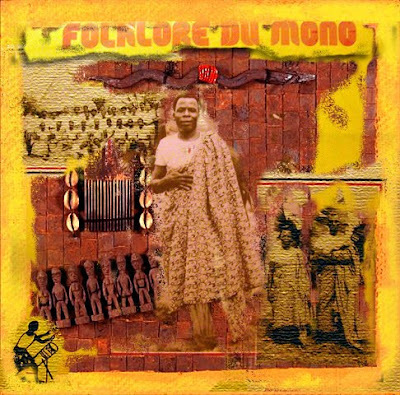 Before posting an album from Gnonnas Pedro, the creator of modern Agbadja rhythm, let's discover traditional Agbadja, a rhythm that comes from the Mono region, to the west of Benin, and which belongs to the Mina tribe. 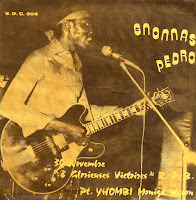 Avant de poster un album de Gnonnas Pedro, créateur du rythme Agbadja moderne, découvrons l'Agbadja traditionnel, un rythme qui vient de la région du Mono, à l'ouest du Bénin, et qui appartient à l'ethnie Mina. This album, recorded in 1972, has a twin sleeve found on the album from Balla et ses Balladins that I already posted, but under antother sleeve (what a story). 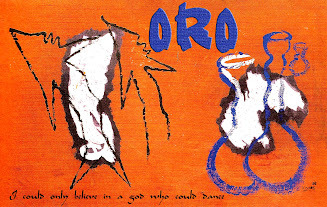 Anyway, this opus is special because Kante Manfila is singing on two tracks: "Yahadi Gere" and "Fon N' Tan Siga". Much of Balladins' success lies in the instrumentation: both leaders, Balla and Pivi are horn players rather than guitarists or singers. They were both serious musicologists, deeply into folkloric research. At one point government interference transfered several band members to back Miriam Makeba and assigned a new singer to the band. 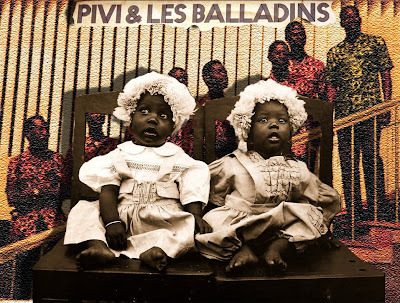 Balla told the minister off and was demoted so the band became Pivi et les Balladins. Cet album, energistré en 1972, possède une pochette jumelle qui est celle de Balla et ses Balladins, que j'ai déjà posté mais sous une autre pochette (toute une histoire). 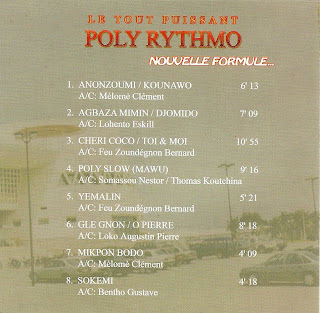 En tout cas, cet album est particulier car Kante Manfila fait une apparition sur deux titres: "Yahadi Gere" et "Fon N'Tan Siga". Le succès des Balladins reposent sur l'instrumentation: les deux chefs d'orchestre, Balla et Pivi sont plus des joueurs de cuivre que des guitaristes ou des chanteurs. Ils étaient deux musicologistes attachés aux racines musicales traditionnelles. Le gouvernement Guinéen interferant dans la sphère musicale, décide de placer certains musiciens dans l'orchestre de Miriam Makeba et de changer de chanteur. Balla s'opposa au ministère et fut renvoyé. 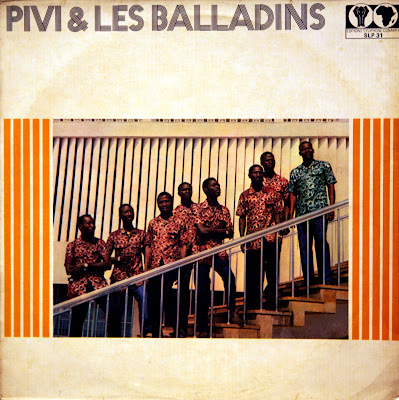 L'orchestre devint Pivi et les Balladins. I especially like the diversity and quality of Prodcution Satel and its tropical records. Here the number 60 with the great Black Santiago and unknown singer Sicko Appiah. 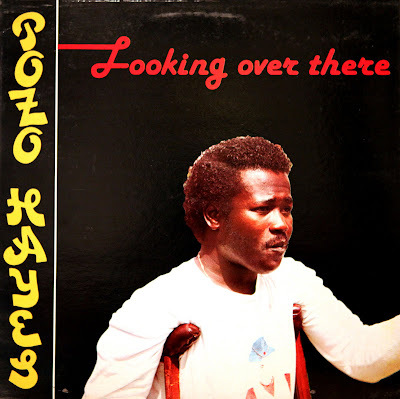 On those highlife tunes Sickoh sings in Akan language from Ghana. I guess so he is Ghanaian. 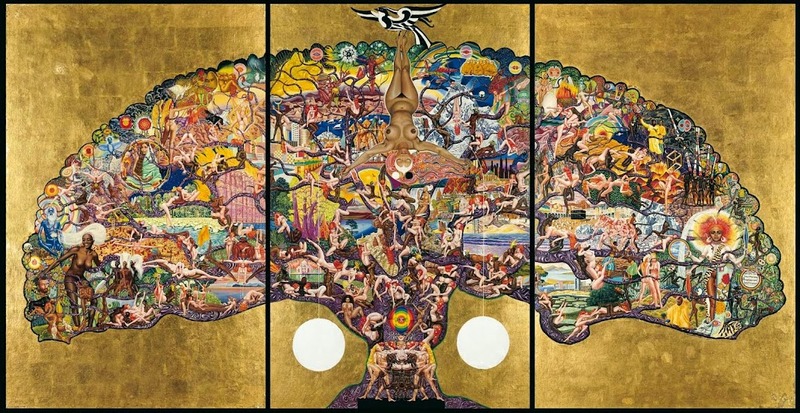 If any knows him, manifest yourself. This EP was probably released in 1971. 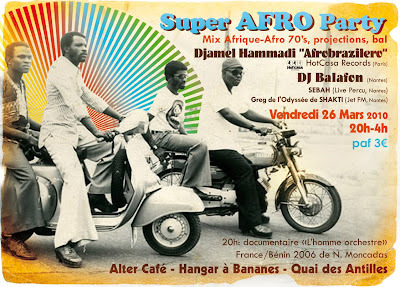 J'aime particulièrement la diversité et la qualité des Productions Satel et ses disques tropicaux. 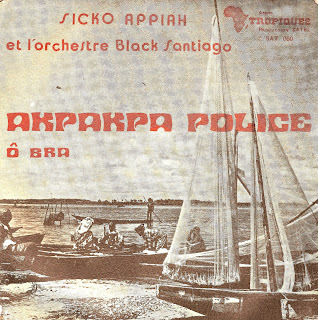 Voici le numéro 60 avec le grand Black Santiago et un chanteur inconnu, Sicko Appiah. Sur ces morceaux de highlife, il chante en langue Akan du Ghana. Je suppose don qu'il est Ghanéen. Si quelqu'un le connait, qu'il se manifeste. Ce 45 tours est vraisemblablemnt sorti en 1971. 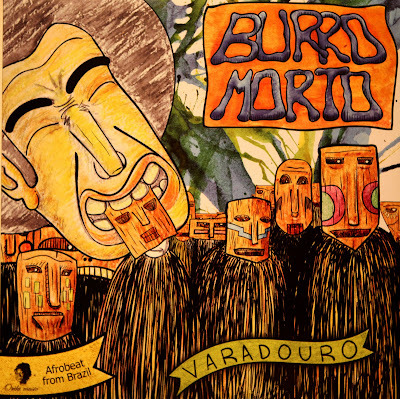 "The Burro Morto afrobeat group members live in North East Brazil. A unique fusion between afrobeat, psychedelia & North Eastern Brazilian regional beats. 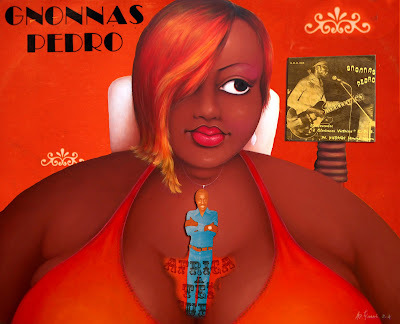 Fast funky tempos, satured fuzz, long organ solo, sincopa parahibana: just perfect music for the dancefloor". 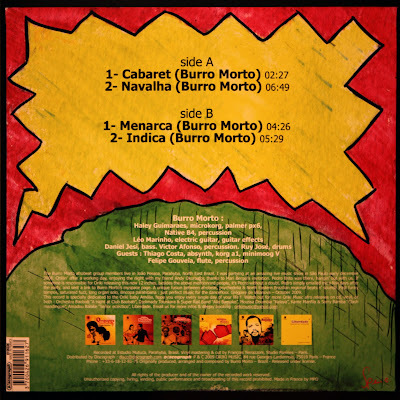 "These two recordings were made in Brazil by Liberdade in 2002. 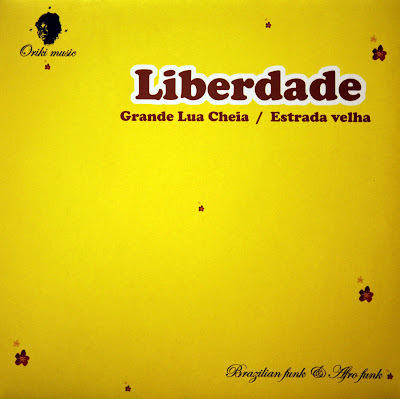 Liberdade was en ephemerous studio group of 9 musicians, all born and raised in the Afro Brazilian city of Salavador da Bahia. None of them ever really had the opportunity to record instrumental music for a producer. 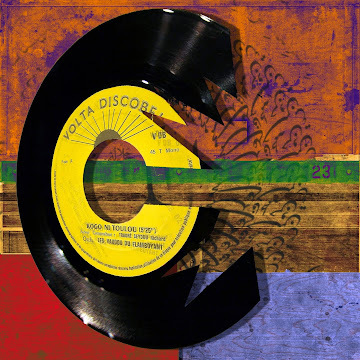 When I came up with the idea of doing of doing a short recording session inspired in 70's funk, all the musicians fell in love with the project and decided to work on original compositions. 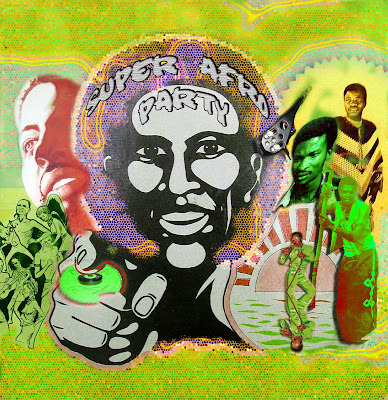 The result is here, a raw, infectious, syncopated afro funk track & easier catchy samba soul. 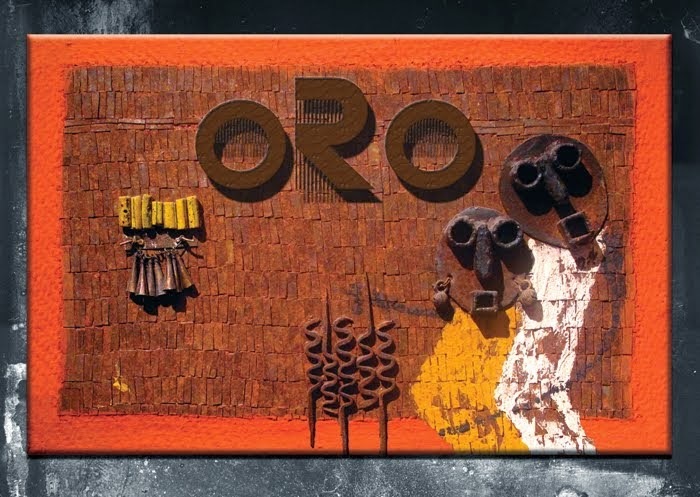 Hope you'll enjoy this very first Oriki Music studio production". Gregoire de Villanova. I only put extracts of the vinyle. 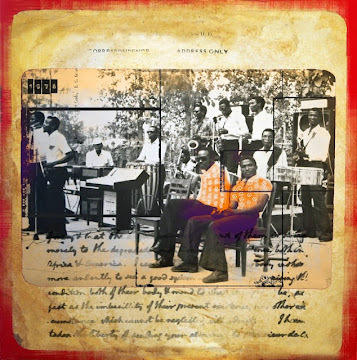 I invite you to buy this vinyl on Diaspora Records or on Itunes. 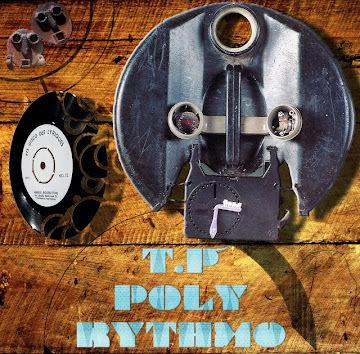 Poly-Rythmo, New Formula, but without his enormous singer, Lohento Eskill (left on the cover) who died in 2006. This CD was recorded in the early 2000s. Arrangements and sounds are not, for me, enough height. I only like one title with Sagbohan Danialou on drums and vocals Melome Clement. Sagbohan plays with Poly-Rythmo for only second time. The first was in 1972, for the recording of his first single "Gbeto Vivi". Poly-Rythmo, Nouvelle Formule, mais sans son immense chanteur: Lohento Eskill (à gauche sur la pochette). qui est décédé en 2006. Ce CD a été enregistré au début des années 2000. Pour moi, les arrangements et le son ne sont pas assez à la hauteur. Je n'aime qu'un morceau avec Sagbohan Danialou à la batterie et Mélomé Clément au chant. 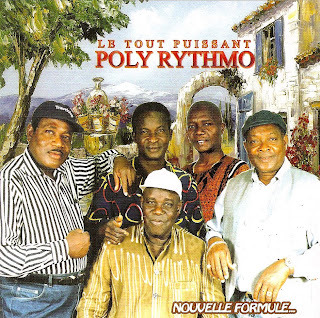 Sagbohan enregistre avec Poly-Rythmo pour la seconde fois seulement. La première fois, en 1972, est pour l'enregistrement de son premier titre: "Gbeto Vivi".